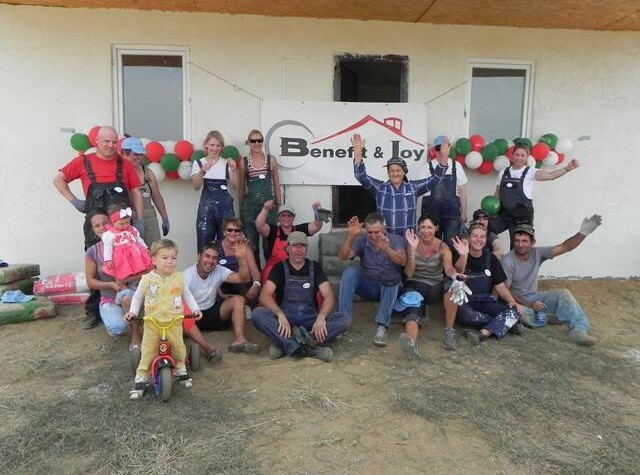 For the 3rd time since 2010 Benefit & Joy has lent a helping hand to the people of Bechet, Romania. 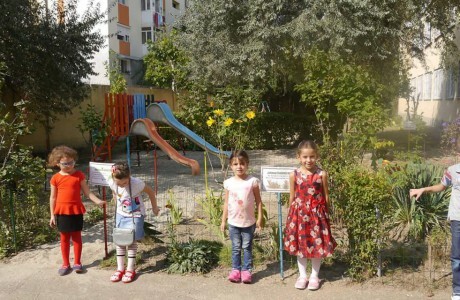 Twelve volunteers carried out three big aid projects between September 8thand 17th 2012. Initialized in 2010 with a bigger aid organization, this project was now completed by Benefit & Joy. 2nd aid project was to install a public computer room in the library of Bechet. 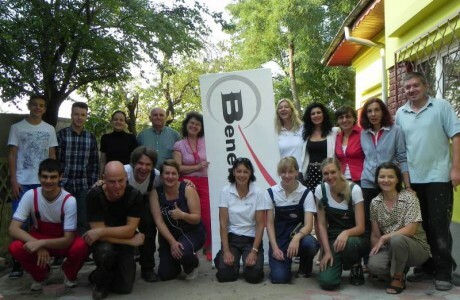 The Benefit & Joy team had carried hardware, software and furniture all the way from Germany to Romania by cars. We installed 10 workstations including printer, monitors and tables. On Friday, the 14th of September 2012 the computer room was opened to the public with a special ceremony through mayor Ionele Gheorghe, principal Ileana Costa and Daniella Groothuis (chairwoman of Benefit & Joy) in the presence of many citizens and the whole Benefit & Joy team. “Education is the key to a better future. For a healthy and strong Europe we need to make sure that the poor and rural areas get connected to modern times, especially in Eastern Europe”, said Daniella Groothuis in her opening speech. Also she said that Benefit & Joy will make any effort to work on overcoming barriers in people’s heads. 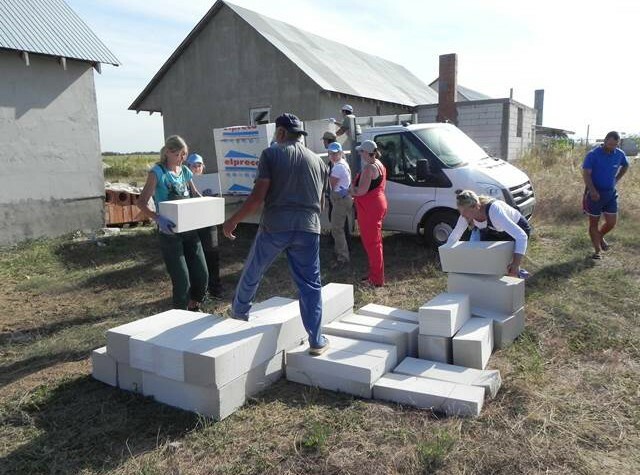 The 3rd aid project was about supplying 100 families with kind donations, predominantly clothing and household products. The Benefit & Joy team has carried these donations from Germany by private cars and also we were supported by “Autohaus Seitz” by a free minivan. The municipality of Bechet had made a list with needy families who have a monthly income under 100 euros. The kind donations were presented to the needy families in one of the local schools (thanks a lot to principal Ileana Costa). We were supported by locals and even by the local police. Benefit & Joy will continue to work with and for Bechet. Hereby we hope to make our small contribution to the integration of Europe. „Three years ago we came here as strangers, but now we leave as friends – this development makes all team members very happy“! At the moment we are looking for the following kind donations for the schools in Bechet: musical instruments, sports equipment (soccer balls, basektball hoops), painting material like brushes, sports gear, especially team outfits. 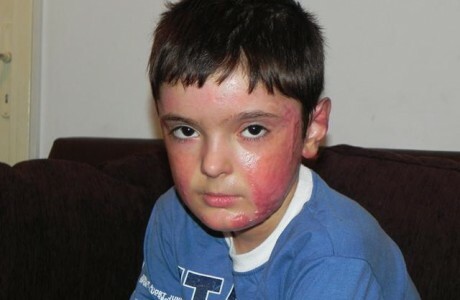 With your donation we can continue to help people in Romania. You can also choose single projects, just leave your favorite one as reference or “Romania”.